Get ready for all your phobias to be realized: Some parents warn their children of stranger danger, but some parents in North Carolina are preparing for the strangest of them all – creepy clowns enticing their children to go into the woods. Residents of Fleetwood Manor Apartments received a warning more ominous than a rent increase. “Many of you have inquired about clowns being spotted in the woods near Fleetwood Manor Apartments. As of today’s date, there has been one incident report filed with our office regarding this,” the statement read. A deputy responded to the call the following day, when residents began sharing stories that double as nightmare fodder. One resident, Donna Arnold, heard about it from her son first. Another resident told police that her child saw several clowns by the woods that were “whispering and making strange noises.” Her child also claimed that they were waving green laser lights before they ran away. Her older son told her that on August 20, he heard chains and banging on their front door. From there, the reports get worse. Another woman told the deputy that when she was walking home at 2:30am, she noticed a clown standing by a dumpster. The clown waved at her, but did not try to speak with her or approach her, saving her the trouble of unloading an entire can of mace. The clown is, or clowns are, still on the loose, unless they have returned to from whence they came: The deepest pits of Hell. This is far from the first time roaming clowns have traumatized citizens outside of carnivals. Residents of Green Bay, Wisconsin are all too familiar with what the Fleetwood Manor residents have been experiencing. In early August, a short film director attracted attention to his project by having an actor don a creepy clown costume and wander around the streets in the wee hours of the morning. These creepy clowns are nothing short of an international epidemic. 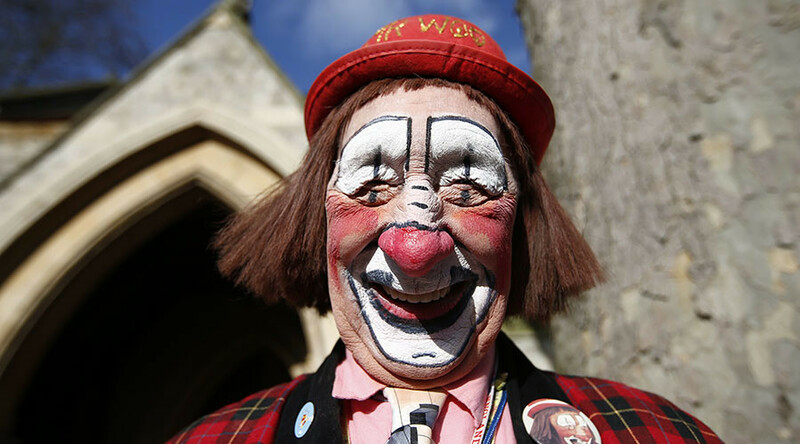 Last year, children in the towns of Tonbridge and Tunbridge Wells in Kent, England reported being approached by individuals wearing clown masks in vans. As if the stereotype couldn’t get any worse, police confirmed that not only were these people approaching children, they were going so far as to chase them, The Mirror reported. Perhaps it is time to add a section about banning clowns to the Geneva agreement.